World War I began in June of 1914, and is considered to have five major causes that led to the outbreak of the war. These five causes include the four long-term causes (militarism, alliances, imperialism and nationalism) discussed in this reading and one short-term cause (the assassination of Franz Ferdinand). The four long-term causes each occurred in the years and decades before the actual outbreak of World War I, and all combined to set the stage for war in 1914. Most people think of these as the MAIN causes of World War I as an easy to remember acronym. The first long-term cause of World War I is militarism. Militarism can best be understood as the buildup or expansion of the ability of a country’s military to wage war. In the decades before World War I many European countries began to practice militarism and worked to expand and strengthen their military forces. 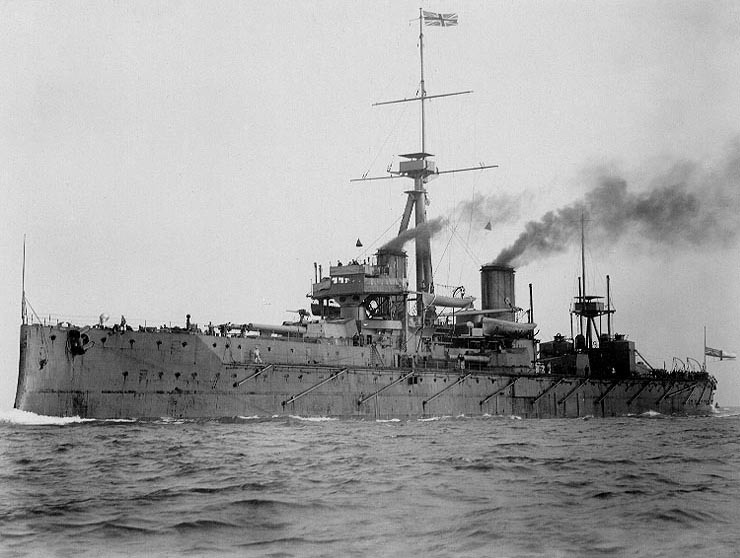 For example, there was an intense arms race and naval race between several European nations in the buildup to World War I. Specifically, France and Germany were heavily involved in an arms race in which each country doubled their armies between 1870 and 1914. Both nations had a history of war against each other and their rivalry caused them to expand their military forces. At the outbreak of fighting in 1914, France had over 1 million soldiers while Germany had over 2 million. This arms race showed the distrust between the nations of Europe and when war did break out in 1914 it allowed the countries to go to war more easily. In general, militarism showed the rivalry that existed between the nation of Europe in the years for the outbreak of World War I. Also, militarism created the large forces that easily allowed the European nations to go to war in 1914. If they had not built such large armies then the war may not have been so easy to begin and so devastating. The second long-term cause of World War I was the system of alliances that existed in the years before the outbreak of war in 1914. When World War I began Europe divided between two separate alliance systems. Britain, France and Russia made up the Triple Entente while Germany, Austria-Hungary and Italy made up the Triple Alliance. Both sets of alliances were created in the years and decades before World War I between the partnering countries. The assassination of Austro-Hungarian archduke Franz Ferdinand and the resulting crisis between Serbia and the Austro-Hungarian Empire caused each system of alliances to enact and World War I began. American political cartoon titled 'Chain of Friendship'. It shows the 'chain reaction' of the Alliance Systems that caused World War I.
Map showing the Alliance Systems that caused World War I. To understand how the system of alliances led to the start of World War I, we first need to understand the series of events that unfolded after the assassination of Franz Ferdinand in June of 1914. Immediately after the assassination, which was carried out by a Serbian nationalist organization called the Black Hand, Austria-Hungary blamed Serbia and began to threaten Serbia. In response, Russia came to the defense of Serbia. Russia did this as part of its larger movement for Pan-Slavism. Pan-Slavism was the theory that supported the promotion of all Slavic people of which Russians and Serbians were both. As such, Russia wanted to support the Serbians against Austro-Hungarian aggression because Russia viewed Serbians as sharing a similar ethnic heritage. After Russia came to the defense of Serbia, Germany pledged its support to Austria-Hungary in the form of a “blank check”, meaning Germany was offering Austria-Hungary its unlimited support. This act by Germany caused an alliance between Russia and France to take effect and both France and Britain were pulled into the conflict in support of Russia. 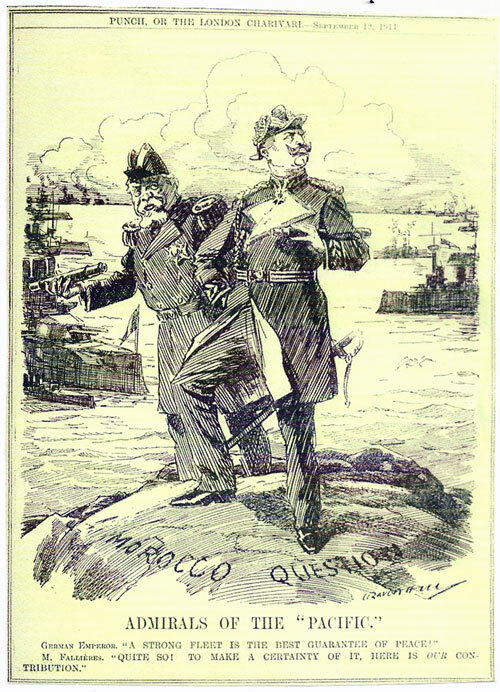 Italy was then also pulled into the conflict on the side of Germany and Austria-Hungary based off of an alliance it shared with both countries. What had begun as a conflict between Austria-Hungary and Serbia had expanded to include all of the major powers in Europe. Ultimately, the alliance systems that existed before the start of World War I obligated countries to go to war in defense of their allies. This obligation is how countries such as Britain, France, Germany and Italy were pulled into the conflict. The third main cause of World War I was European imperialism that occurred in the 1800’s and early 1900’s before World War I erupted in 1914. Imperialism is understood as a process in which a country overtakes another country or region’s political, economic or social life. Imperialism was carried out by the powerful European nations against the rest of world in the decades before World War I began. For example, in the 19th century European nations carried out massive campaigns of imperialism against the regions of Africa in an event known as the Scramble for Africa. The Scramble of Africa led to the start of World War I because it increased rivalry between the European nations as they fought against each other for territory in Africa and control over different regions. For example, in 1884, German leader Otto von Bismarck called the Berlin Conference which had the European powers meet to discuss the division of Africa into regions controlled by the European nations. The purpose of the meeting was to avoid starting a major European conflict and to lessen tensions because the Scramble for Africa was leading to an intense rivalry and distrust between the Europeans powers. The peace created at the Berlin Conference did not last as the rivalry between the European powers increased as they approached 1914. The fourth and final long-term cause of World War I was the growth of nationalism that occurred in Europe in the decades before World War I and the tensions it caused. Nationalism is best understood as when a group of people identify with each other and display a loyalty to their nation or country. Nationalism grows when people share similar beliefs, values, ethnic heritage, relationship to land, language, culture and customs. For example, both Germany and Italy unified from many separated kingdom states into unified nation-states in the late 1800’s. These separate kingdoms unified as the people in those regions began to identify with each other and as nationalism swept across the people of Europe. Nationalism was a major cause of World War I because it caused tensions and unrest to grow in certain parts of Europe. 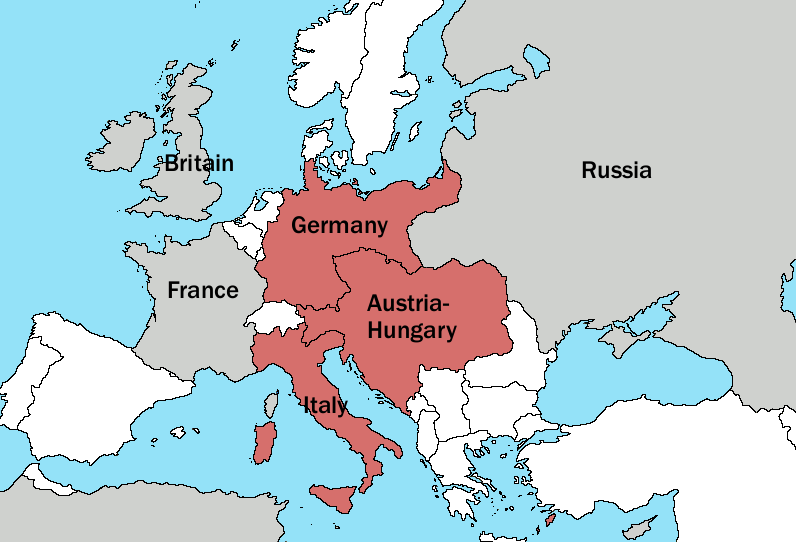 For example, the Austro-Hungarian Empire was not made up of one single nation, but rather consisted of many different groups. Many of these groups sought to have control over themselves and wanted sovereignty from the rule of the Austro-Hungarian Empire. This created a great deal of unrest in the empire. This was especially apparent in the Balkans, which is a region in Southeast Europe that contains many different nation-states. 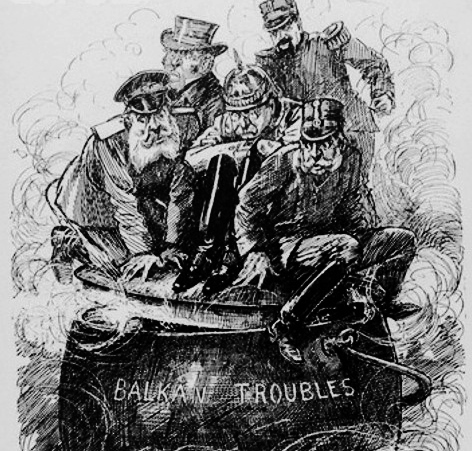 In the years before World War I, the Balkans was under intense nationalistic tensions. This was primarily due to the rise of nationalism in Europe and the influence of Austria-Hungary in the region. The Austro-Hungary Empire extended into the Balkans on its southern borders and in the years before World War I it attempted to extend its control over the region. Many historians now refer to the nationalistic tensions that were created in the region as a “powder keg”, meaning that the tensions were so extreme that they were like a bomb ready to explode at any moment. Ultimately, the assassination of Austro-Hungarian archduke Franz Ferdinand in June of 1914 was the “spark” that lit the match of the Balkans Powder Keg and plunged Europe into World War I. Nationalism as a movement in Europe in the years before World War I, created the tensions necessary for a small event like the assassination of Franz Ferdinand to explode into the worldwide conflict that it became.